Summer is officially here and, if you are planning a trip to Nelson in the coming months, the Cottonwood Falls Saturday Market is one of the best places to experience the sunny weather and lively spirit this season brings. What says summer more than sipping on a freshly made lemonade while browsing an abundance of seasonal fruits and vegetables? A summer highlight and gathering place for the locals, a trip to the Cottonwood Falls Market should also be on the itineraries of those visiting one of the most vibrant towns in the Kootenays. 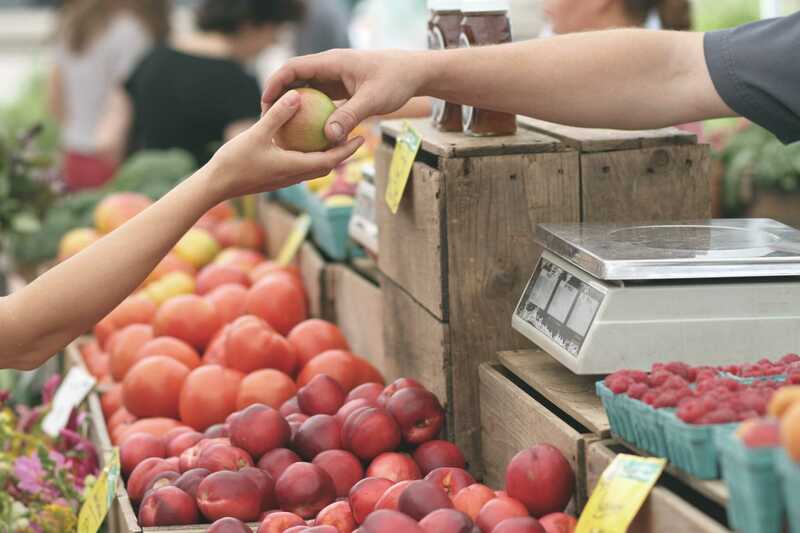 Sponsored by the West Kootenay EcoSociety, the market takes place every Saturday from May to October from 9 to 3 pm. Featuring over 40 local vendors selling farm-fresh produce, delicious ready-made food and artisanal goods, the market showcases the friendly, grassroots spirit of Nelson. Looking for that perfectly unique accessory? The Cottonwood Market may be the place you find it. Painters and craftsmen from Nelson’s thriving arts and culture community will be selling hand-made artwork, jewellery, clothing and more! Come hungry because the market is also a foodie’s paradise, featuring a variety of food vendors selling everything from homemade cookies to tacos. Head down to the market around noon and you can enjoy a lunch while listening to some tunes by local performers, playing sets at 10:30 and 12:30. The market is also a great jumping off point for an exploration of Cottonwood Falls Park. Take a stroll around the park and find the Japanese Friendship Garden, a beautiful and serene spot where you can wind-down after experiencing the lively energy of the market. If the summer heat is getting to you, enjoy the refreshing mist of the calming waterfalls after which the park is named. Cottonwood Falls Park is located on Baker Street and is just a ten-minute walk away from the centrally-located Best Western Plus Baker Street Inn. The Baker Street Inn offers convenient, family and pet-friendly accommodation and is within arms-reach of the many historic landmarks and cultural activities Nelson has to offer.